As part of my personal resistance and opposition to the recent executive order banning travelers and immigrants from seven Muslim-majority countries, and accompanying moratorium on all refugee admissions, I decided to develop a three-part series highlighting authors from the seven countries included in the ban. You can find the Introduction and Part 1 here. Part 2 is here. Below is Part 3. Authors from the Seven Countries Affected by Trump’s Travel Ban: Iraq, Somalia and Libya. Betool Khedairi. Born in Baghdad, Betool received her B.A. in French literature from the University of Mustansirya, and divides her time between Iraq, Jordan and the United Kingdom. She currently lives in Amman. I have one of her books on my bookshelf, so A Sky So Close will probably be one of the first books I read to #resist this year. Ahmad Ardalan. Born in Baghdad in 1979, he grew up in Vienna prior to returning to Iraq in 1989, graduating from the University of Dentistry. He moved to the UAE due to the unstable conditions in his home country. Returning for a visit in 2013, this formed the inspiration for his novel, The Gardener of Baghdad. Nuruddin Farah. Farah is a prominent Somali novelist. He was awarded the 1998 Neustadt International Prize for Literature. The only author I have already read on this list, I highly recommend his work. Ibrahim al-Koni. Al-Koni was born in the Fezzan region in 1948. He spent his childhood in the desert, and studied comparative literature at the Maxim Gorky LIterature Institute in Moscow. He has published more than 80 books, although most have not been translated into English. Hisham Matar. Hisham Matar was born in NYC, where his father was working for the Libyan delegation to the UN. When he was three years old, his family moved back to Tripoli, where he spent his early childhood. Eventually, his family was forced to flee and live in exile in Egypt, later moving to London. His novel, In the Country of Men, was nominated for the Man Booker Prize. I hope you enjoyed this 3-part series! Please add any other recommendations you might have from any of the seven countries featured. As part of my personal resistance and opposition to the recent executive order banning travelers and immigrants from seven Muslim-majority countries, and accompanying moratorium on all refugee admissions, I decided to develop a three-part series highlighting authors from the seven countries included in the ban. You can find the Introduction and Part 1 here. Below is Part 2. Mahmoud Dowlatabadi. Mahmoud is an Iranian writer and actor, best known for his promotion of social and artistic freedom in contemporary Iran. The Colonel – “A pitch black, rainy night in a small Iranian town. Inside his house, the colonel stared at the portrait of the famous military hero –The Colonel, long executed. He thinks of his own children, one of whom died supporting the Shah, another of whom fought for the Ayatollah, another of whom – his fourteen-year old daughter – has been captured handing out leaflets against the regime. The Colonel has fought against the British…he fought for the Shah… he fought for the Ayatollah…he’s dedicated his life to his country…the house is quiet. Shahrnush Parsipur. Shahrnush was born and raised in Tehran, receiving her B.A. in sociology from Tehran University in 1973. She is the recipient of the first International Writers Project Fellowship from the Watson Institute for International Studies at Brown University. Touba and the Meaning of Night – “Introduces English-speaking readers to the masterpiece of a great contemporary Persian writer, renowned in her native Iran and much of Western Europe. This remarkable epic novel, begun during one of the author’s several imprisonments, was published in Iran in 1989 to great critical acclaim and instant bestseller status—until Shahrnush Parsipur was again arrested a year later, and all her works banned by the Islamic Republic. Fadi Azzam. Fadi is a Syrian journalist and fiction writer, who studied Arabic at Damascus University. He now lives and works in the United Arab Emirates. Adonis. Adonis was born Ali Ahmed Said in the village of Al Qassabin. At the age of 19, he adopted the name Adonis (also spelled Adunis) after the Greek god of fertility. He is considered one of the Arab world’s greatest living poets. In Part 3, I will take a look at authors from Somalia, Iraq, and Libya. Stay tuned! Reading as Resistance – How do you fight back? Reading Authors from the Seven Countries Banned By Trump, Part 1. Last week, I followed Trump’s Executive Orders closely. Each day, there seemed to be new trials and tribulations unleashed from his pen as he signed one executive order after another. What I would like to focus on today is Friday’s executive order, and my response. When a draft executive order was leaked to the media on Wednesday that placed a moratorium on the refugee admissions program, and an outright travel ban on citizens from seven Muslim countries, I knew we had even more trouble ahead. Prior to the birth of my daughter, I worked in refugee resettlement. I remember the repercussions of the two-month freeze on refugee admissions after 9/11, how it devastated resettlement agencies and made it incredibly difficult for them to have enough funds to keep case workers employed, so that they could continue to help people who were already here, and prepare for those who would arrive after the ban was lifted. When an admissions ban goes into effect, almost all funding for resettlement agencies dries up quickly. And Friday’s executive order is like no other. A 120-day moratorium on ALL refugee admissions is twice as long as the post-9/11 freeze. A complete travel ban on all citizens of seven countries, irregardless of their visa status, or how long they have lived in the United States. Such a ban has a catastrophic impact on people fleeing war and famine, on permanent residents who have made a home in America only to find themselves trapped outside of the country and unable to return home. Discrimination against a person based on their religion or national origin is a gross violation of a person’s human rights, and Friday’s EO is harmful to hundreds of thousands of people. Much has already been written on the illegalities of this executive order, which breaks both domestic and international law. How can we respond, especially as a book community, to such discrimination and human rights violations? As an individual, I have participated in quite a few actions over the past week. I have called my Senators and Congressional Representatives almost every day. On Friday evening, I participated in a protest at the Charlotte Douglas Airport. I donated, again, to the ACLU, the International Refugee Assistance Project, and my local refugee resettlement agencies. I will continue to volunteer in the refugee community on a regular basis. For those who also engage in activism, you are likely already aware that self-care is needed to prevent burnout. One of my biggest forms of self-care is reading. Yet, even in this hobby, I see a way to Resist. I have made a committment to reading at least one novel written by authors from each of the seven countries included in the immigration and travel ban: Sudan, Yemen, Syria, Iran, Iraq, Libya, and Somalia. I encourage you to do the same. During the course of this week, I will feature authors from each of these seven countries. I am a firm believer in the ability to learn through literature. If you are participating in #DiversityBingo2017, most of these suggestions will work for a few of the categories in that challenge as well. Today’s post will highlight authors from Sudan and Yemen. Leila Aboulela. Leila grew up in Kartoum, graduating from Khartoum University in 1985. She was awarded the Caine Prize for African Writing in 2000 for her short story The Museum, and her novel The Translator was nominated for the Orange Prize in 2002, and was chosen as a Notable Book of the Year by the New York Times in 2006. Tayeb Salih. Tayeb was born in Karmakol, near the village of Al Dabbah in the Northern Province of Sudan. He studied at Khartoum University before leaving for the University of London in England. Despite living abroad for most of his life, his fiction is firmly rooted in the village in which he spent his early years. Wajdi al-Ahdal is a Yemeni novelist, short story writer and playwright. Born in 1973 near Bajil in the province of Al Hudaydah, he received a degree in Literature from Sanaa University in Yemen. He won the Afif short story prize in 1997, and the youth prize of the President of the Republic of Yemen for a short story in 1999. Zayd Mutee’ Dammaj was a Yemeni politician and writer. His short novel The Hostage was selected by the Arab Writers Union as one of the top 100 Arabic novels of the 20th century. Stay tuned for Part 2 on Wednesday! I am quite excited – and probably a bit overly optimistic – about the Dumbledore’s Army Readathon, hosted by Aentee @ReadatMidnight. 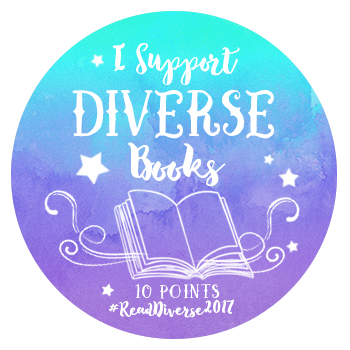 What: #DAReadAThon is a Harry Potter themed readathon, focusing on diverse (especially #ownvoices) books. When: The readathon will begin Sunday 1st January and conclude Sunday 15th January, midnight to midnight – wherever in the world you’re based. Who: Anyone can join, although it would be easier for you to write-up your reviews and sign up posts if you had a platform such as a blog or a booktube. If you have a twitter or instagram account, please join in on the #DAReadAThon hashtag! You don’t have to be familiar with Harry Potter to join, but the prompts will make more sense to you. and here is my TBR list for the prompts! I haven’t read any fiction stories featuring a trans character yet, and George has been on my shelf for months waiting to be read! A memoir of growing up in Iran during the Islamic Revolution, in graphic novel form! At first, I was going to choose We Should All Be Feminists by Chimamanda Ngozi Adichie for this prompt. Then I realized that the books I already plan to read on our drive home from Florida after New Year’s Day would work for this one as well! Since they are relatively short, I am going to count Ms. Marvel, Volumes 2 – 5 for this category. The Absolutely True Diary of a Part-Time Indian also happens to be my book club’s pick for January! I’m hoping to read Fangirl over the next few days – although that may be wishful thinking – and planned on following it up with this one!